Barbara Prugh, trumpet, is a graduate of Eastman Conservatory of Music, finalist in the NYC Concert Artists’ Guild Competition, featured guest soloist in several international brass conferences, and soloist / principal in numerous regional orchestras. She has premiered several new solo compositions for trumpet and is well known for her poignant rendition of "The Trumpet Shall Sound" from Handel's MESSIAH in churches in the region to the stage of the Academy of Music in Philadelphia. She has recorded and performed with the Philadelphia Orchestra under Ricardo Muti. 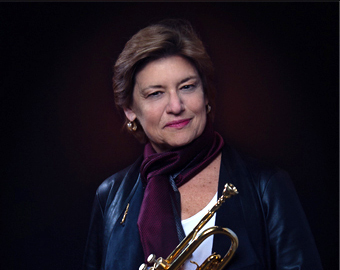 Her CD Barbara Prugh, Trumpet Artistry is the basis of her shows "Lady with a Horn" and "Sophisticated Ladies." See her performances on Youtube (search for “Barbara Prugh”) and on www.trumpetsinger.com. 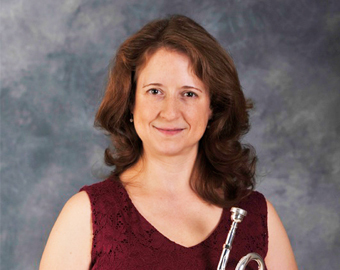 Amy Cherry is currently a freelance musician and trumpet teacher in the Philadelphia, Pennsylvania area. She holds a B.M. in Trumpet Performance from the University of Illinois and an M.M. and D.M.A. in Trumpet Performance from the University of Cincinnati College-Conservatory of Music. She served as Assistant Professor of Music at Western Carolina University from 2008-2014, and previously held the position of Instructor of Trumpet at Morehead State University, Wright State University, and East Tennessee State University. Amy is an active chamber musician interested in reaching new audiences and expanding the repertoire for brass instruments. Amy Bland, horn, holds a Master’s degree in horn performance and is a member of the Kennett and Bay Atlantic Symphonies. Amy performed as a member of the Delaware Symphony for ten years including their European tour to Portugal. 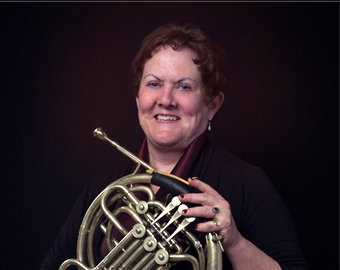 She has thirty years’ experience providing brass music with Brandywine Brass and the Kennett, Basilica, Capitol, and Devon Brass Quintets. Stephen Shiffer is a graduate of the Dana School of Music at Youngstown State University. 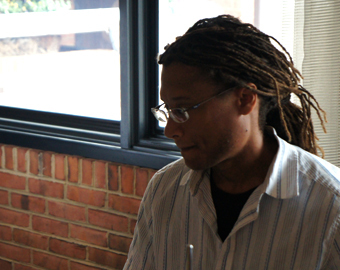 He is currently a faculty member at Millersville University, where he teaches trombone. Stephen performs regularly as a tenor and bass trombonist throughout Central PA and the Delaware Valley. As a pit musician, he has performed with numerous broadway musical productions in theaters including Hershey, American Music, Mt. Gretna, Whitaker Center, Strand, and the Fulton. He has also performed with artists including Natalie Cole, Bernadette Peters, Manhattan Transfer, Johnny Mathis, Celtic Woman, The Temptations and Four Tops, just to name a few. Stephen also maintains a private brass studio at his home. 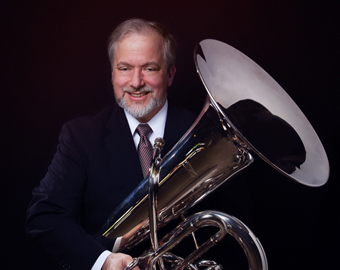 John Bland, tuba, has performance degrees from the U. of Michigan and Rice, Shepherd School of Music, and has studied with the principals of the Philadelphia Orchestra and New York Philharmonic. He has played in the Battle Creek / Midland / Plymouth (MI), Dallas and Fort Worth (TX) symphonies,the Houston Grand Opera and Ballet orchestras, toured with (and was soloist with) the Youth Symphony of the United States, and is now freelancing in Philadelphia area orchestras and brass ensembles. 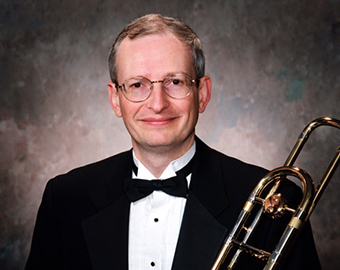 John is the Artistic Director and Business Manager for the Brandywine Brass. Jonathan Whitney, percussion, brings with him 11 years of experience as a band director, as well as experience collaborating with artist in music, dance, and theater. He has a B.M. in music education from the University of Delaware with a concentration in percussion as well as a M.M. in Jazz Studies from the University of the Arts in Philadelphia, PA. Jonathan is currently the artistic director of the Delaware Institute for the Arts in Education. Jonathan performs regularly throughout the tri-state area, and arranges/composes for a variety of ensembles. 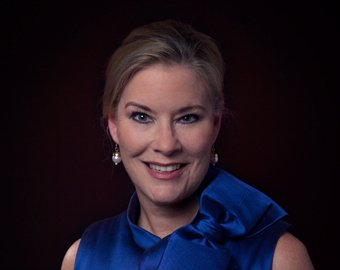 Mary Ellen Schauber is a critically acclaimed soprano, teacher of singing, and choral conductor, who has enjoyed a regional opera and concert career, with thirty leading operatic roles to her credit. On stage she was most frequently heard as Queen of the Night in The Magic Flute, Violetta in La Traviata, Lucia inLucia di Lammermoor, Gilda in Rigoletto, as well as Rosalinda in Die Fledermaus, and Hanna in The Merry Widow. Her performance as Puccini’s ice princess in the Virginia Opera production of Turandot received wide acclaim, with The Washington Post describing her as “the voice of a Brunnhilde and the looks of a princess whom men would be willing to die for.” Numerous students have benefited from her instruction by receiving national recognition and awards, as well as scholarships to attend the finest music conservatories, colleges and universities in North America; several have launched successful careers representing a wide variety of music performance styles. Ms. Schauber has served as a Master Teacher for the Washington National Opera summer Opera Institute and is a U.S. founding teacher for the Royal Conservatory Achievement Program. Devoted to students of all ages, Ms. Schauber has directed the youth and adult choirs at St. Joseph on the Brandywine Church for many years. She serves as artistic director of the Helena Springer Green Raskob Concert Series at The Patio of Archmere Academy, and is featured in performances with the Dickinson Theatre Organ Society and the newly formed Brandywine Brass ensemble. Robert Stephen Wallace, II, Composer/Arranger, has studied at Wilkes University and the Peabody Conservatory of music and also with international organist John Rose, a student of the late Virgil Fox. His teachers have included Ferdinand Liva (Conductor of the Northeastern Pennsylvania Philharmonic), Anne Vanko Liva (concert pianist), Clifford Balshaw and Myron Leet (Conductor and Asst. Conductor of the Wyoming Valley, PA Oratorio Society), Theodore Snyder (active 20th Century American composer), Frederick Fennell (Conductor of the Eastman Wind Ensemble), Julio Esteban (composer and concert pianist), and Nancy Gamble Pressley (concert pianist). 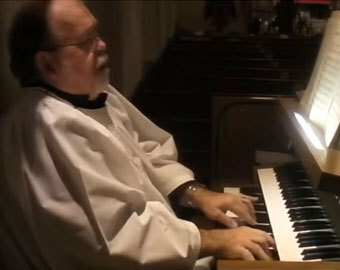 He is an active composer and arranger of all genres of music—choral, piano, organ, guitar, and instrumental. Several hundred of his arrangements have been published and are available through CimarronMusic, BVDMusicPress, A.K. Brass Press, Sheet Music Plus, and others in the U.S. And Europe. Add some brass to your next big event!